The first five months of 2018 were the fourth warmest in global records going back to 1880, according to NOAA. Along the way, a number of extreme heat events have occurred already this year. In recent weeks across the Northern Hemisphere, these records have included an impressive number of all-time highs (an all-time high is the warmest temperature reported on any date at a given location). Setting an all-time high is no small accomplishment, especially for locations that have long periods of record (PORs). All-time highs are especially noteworthy when you consider that, on average, the planet is warming more during winter than during summer, and more at night than during the day. Urban heat islands are no doubt contributing somewhat to the heat records achieved in large urban areas, but the extreme heat of 2018 has also played out in remote rural areas without any urban heat islands. As of July 13, the U.S. Records summary page maintained by NOAA showed that 18 U.S. locations had set or tied all-time highs so far this year, as opposed to 10 locations that set or tied all-time lows. There is an even sharper contrast between the number of all-time warm daily lows (40) and all-time cool daily highs (5), which has been a common pattern in recent years. Hottest climatological summer (avg. temp) on record. Some 54 climate stations measured their hottest summer on record (maximum of all sites was 38.7°C (101.7°F) at Alexandra on January 30). January 2018 was the single warmest of any month on record in New Zealand. Hottest temperature for the month of April ever measured on Earth, with 50.2°C (122.4°F) at Nawabshah on April 30. Figure 1. 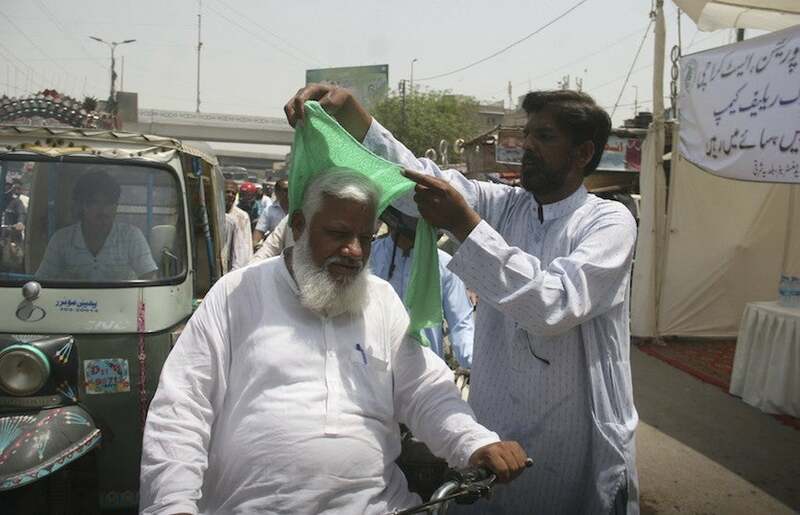 Residents of Karachi, Pakistan, used wet towels to fight the high temperatures during a spell of intense pre-monsoon heat on April 22, 2016. Image credit: Sabir Mazhar/Anadolu Agency/Getty Images. Warmest May on record (average temperature) for the U.S. and Europe as a whole including the nations of Norway, Sweden, Finland, Denmark, Estonia, Latvia, Lithuania, Belarus, Poland*, Germany*, Czech Republic*, Slovakia*, Netherlands. Those with an (*) asterisk also observed their warmest April on record. Some extreme temperature highlights were the 29.6°C (85.3°F) at Helsinki, Finland on May 15, a local record for May, and 32.7°C (90.9°F) at Etne, Norway on May 30, a national record for May. Some sites at surprisingly high elevations in Mexico established their all-time heat records, including Durango (elevation 1900 meters/6270 feet) with a 41.6°C (106.9°F) temperature on May 29; Guadalajara, with a high of 39.2° (102.6°F) on May 31; and Torreon, with an astonishing 44.8°C (112.6°F), also on May 31. New world record for highest minimum temperature for a 24-hour period and for a calendar day: 42.6°C (108.7°F) at Qarayyat, Oman on June 25. 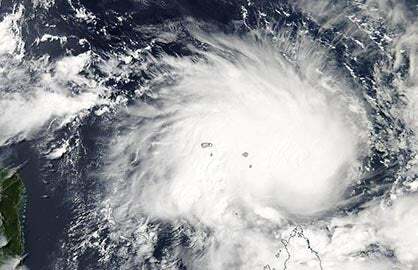 The Oman Directorate of Meteorology confirmed the reading on July 8. 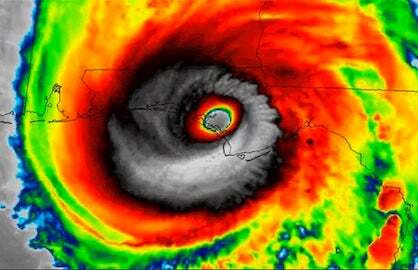 See the June 26 Category 6 blog post by Jeff Masters for more detail. Heat wave in the British Isles. Glasgow, Scotland: 31.9°C (89.4°F) on June 28, an all-time record for the city. Belfast, Ireland: 29.5°C (85.1°F), an all-time record for the site. Shannon, Ireland: 32.0°C (89.6°F) all-time record for the site and the second-hottest reliably measured temperature in all of Ireland. Figure 2. 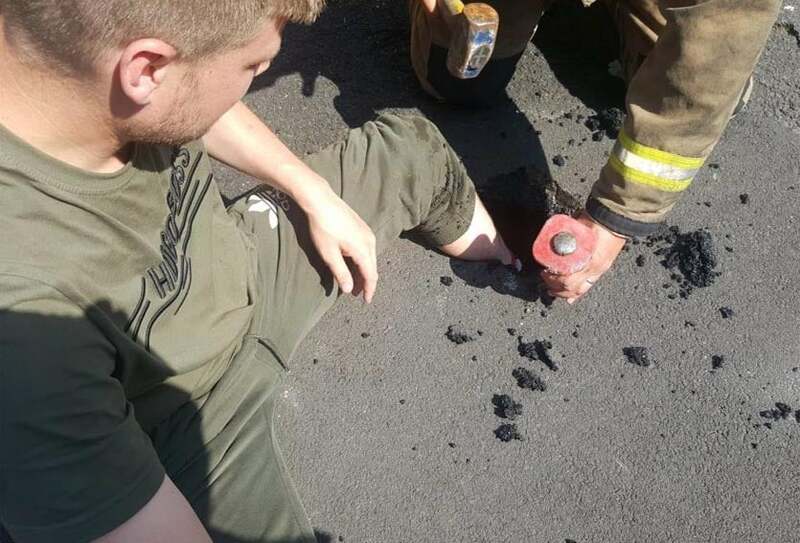 The heat in Heaton, UK, on July 5 softened and melted the tarmac on this road so much that a man got his foot stuck and needed rescue. Image credit: Tyne and Wear Fire and Rescue Service. Montreal: 36.6°C (97.9°F) on June 29. This temperature at the McTavish/McGill site was the hottest reliably measured temperature at any site in the Montreal area on record (a figure of 37.6°C (99.7°F) on August 1, 1975 has been found to be an error). Up to 70 people perished across Quebec as a result of the heat wave. Burlington, Vermont: All-time high minimum of 80° on July 2 (old record 78° on two occasions). At least four deaths were attributed to the heat. Mt. Washington, New Hampshire, reached 71°F (21.7°C) on July 5, 1°F short of their all-time record high. The minimum of 60°F (15.6°C) on July 3 tied for the warmest daily minimum on record. Kirkuk, Kurdistan: 50.0°C (122.0°F) on July 4 ties the all-time record for this major city in Iraq. Yerevan, Armenia: 42.0°C (107.6°F) on July 2 ties all-time record for capital of Armenia. A new all-time record for Yerevan was set just ten days later (July 12) with 42.4°C (108.3°F). Baku, Azerbaijan: 42.7°C (108.9°F) on July 1, a new all-time record for the capital of Azerbaijan. Previous record was 41.7°C set just last year. All-time heat records were also set on July 1 at Turkmenbashi, Turkmenistan, with a 45.6°C (114.1°F) reading and Kucubej, Russia with 41.6°C (106.9°F), and on July 2 at Novyj Ushtogan, Kazakhstan, with 44.8°C (112.6°F). Dew point temperature of at least 34.1°C (93.4°F) on Abu Musa Island, Iran (in Persian Gulf), is just 0.9°C short of the world record high dew point of 35.0°C (95°F) set at Dharan, Saudi Arabia on July 8, 2003. Also, a temperature of 53.0°C (127.4°F) at Ahvaz on July 2 is the warmest temperature observed on Earth so far this year (as of July 12). 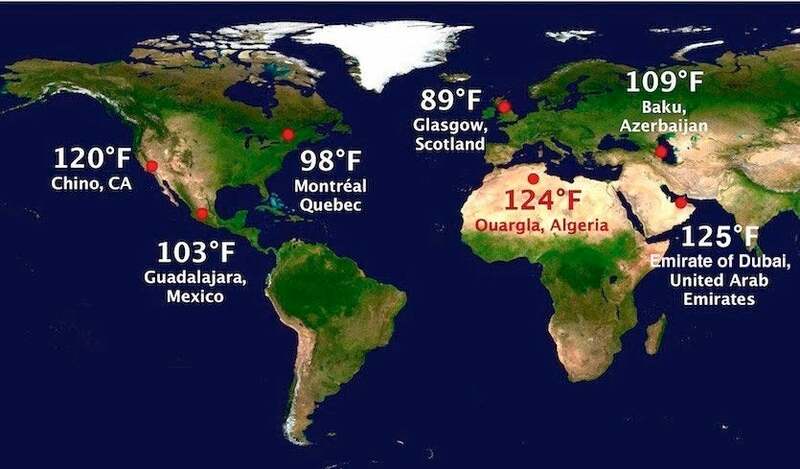 All-time hottest temperature reliably measured on the African continent: 51.3°C (124.3°F) at Ouargla, Algeria. 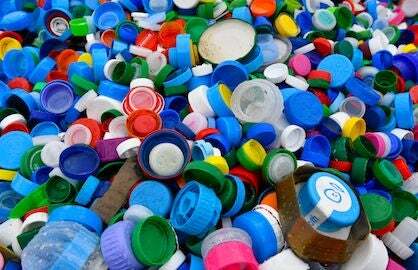 See this Category 6 post by Jeff Masters for details. Fullerton Airport (3 miles from Disneyland in Anaheim): 116°F/46.7°C (old 112° September 27, 2010). Certainly one of the worst days ever to visit the “mouse kingdom”. The 112°F (44.4°C) reading on Avalon Island was likely the hottest temperature ever observed on any of the Channel Islands. Figure 3. 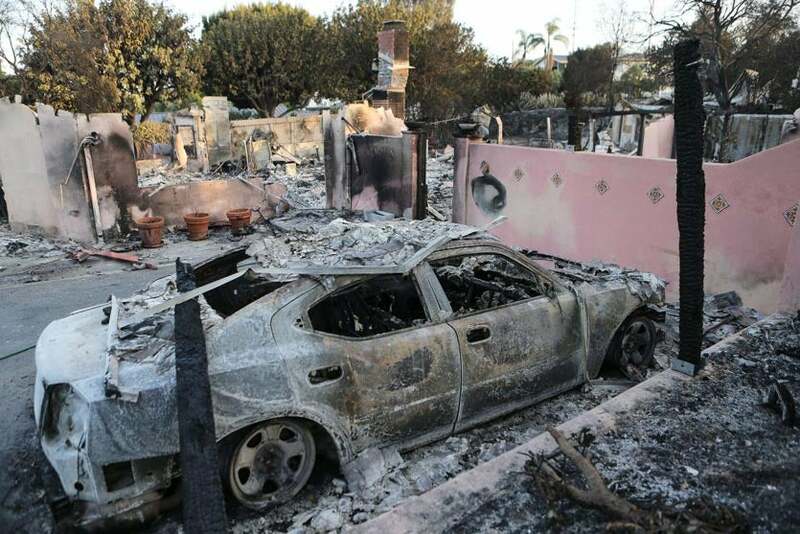 The remains of a destroyed car stand in front of a destroyed home in the aftermath of the Holiday Fire on July 7, 2018, in Goleta, California. The fire destroyed a number of homes in the community during an intense heat wave which broke various records across Southern California. Image credit: Mario Tama/Getty Images. Hottest temperature ever measured in Taiwan (preliminary) with a 40.3°C (104.5°F) at Tianxiang. All-time record high for the Emirate of Dubai: 51.4C (124.52°F) at Saih al Salem. Stanford University climate scientist Noah Diffenbaugh published a 2017 study showing how a relatively small shift in the global average surface temperature of just 1°C (1.8°F) in the past century has dramatically increased the odds of extreme heat events. In the case of the July 2018 California heat wave, Michael Wehner of Lawrence Berkeley National Laboratory, who is working to conduct extreme event attribution studies in advance of an event, said in an interview with axios.com, "[i]n probabilistic terms, climate change increased the chances of the heat wave by about 20 to 50 times," adding that there is at least a 99% likelihood that human-induced climate change "increased the severity of this heat wave." KUDOS: Thanks to Maximilliano Herrera, Etienne Kapikian, Jerome Reynaud, Michael Theusner, and Howard Rainford for collecting and sharing all of the non-U.S. data. 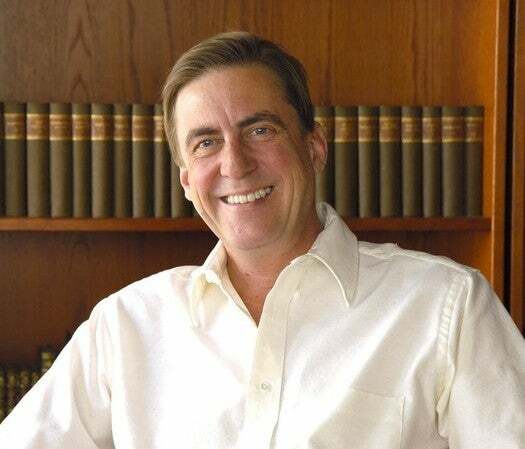 Bob Henson and Jeff Masters contributed to this post.